In an era where a kid will (not can, WILL) receive a trophy for just showing up, I would be setting the family dynamic up for failure. As much as I think it would be good to have a junior HRNasty to take fishing, a kid running around screaming “You’re fired!” in a copycat fashion of the parent, doesn’t look good in public. My form of love harkens back to “This hurts me a lot more than it hurts you” days. Why not just have the kid show up late smelling like cigarette smoke and have their hand me down flip phone go off while being interviewed on Santa’s lap? You are never too young to practice your interview skills. When our little candidate starts crying, of course, the helicopter parent comes to the rescue and hands their balling babe a trophy in the form of a candy cane for trying soooo hard. They then have the audacity of giving the CEO the evil eye as they scurry away with their sobbing little brat. Don’t coddle that kid. That was a FAIL Biatches! This is where a “woodshed whupping” or two would have toughened up a kid. In the least, a “Get back in the saddle” life lesson could be dished out. I could already picture this same parent showing up to the job interview with their proud college graduate and then calling me directly to say the job offer was inadequate. 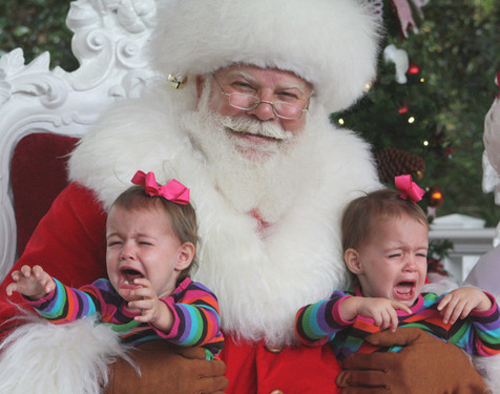 (yes, this really happens) Next time I have an opening for BusyBody Helicopter parent, you will find me at the mall during the holidays trolling with my business cards. And the parents just kept on reassuring the little Boo Brats. No wonder candidates get so mad when they don’t hear back from the recruiter after 2 days. Parents reinforce unrealistic expectations telling their kids how special they are. Gift wrap will be thrown everywhere, and the short attention spans are too simple to keep presents and gift tags together, so forget about any thank you letters being sent out. Maybe it is better off. I don’t want to receive the same cut and pasted thank you email or text that will be forwarded to every gift giver. I have finally connected the dots because if I am lucky, I might receive a generic text/email after I interview a candidate. The hiring managers that receive these emails are ecstatic with these meager scraps of a thank you until they compare notes and find out the other 4 interviewers on the panel received the exact same copy.